Ashley is our beloved daughter who passed away on May 24th, 2009 after spending only 14 short years with us. Her death was a result of a blood clot forming in her brain due to a rare form of leukemia. It was undiagnosed due to its quick onsent of 2 weeks to 2 months. 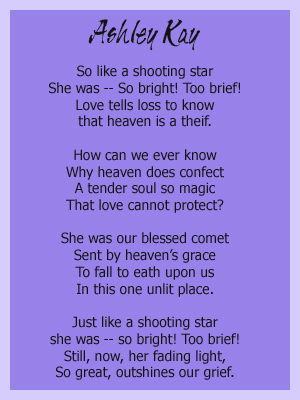 Also, Ashley's grandma Linda wrote a wonderful poem about her, which was read at the memorial service. Click the thumbnail below to read it. Ashley's best friend, Koreena, shared a very touching tribute to Ashley, a celebration of their friendship. 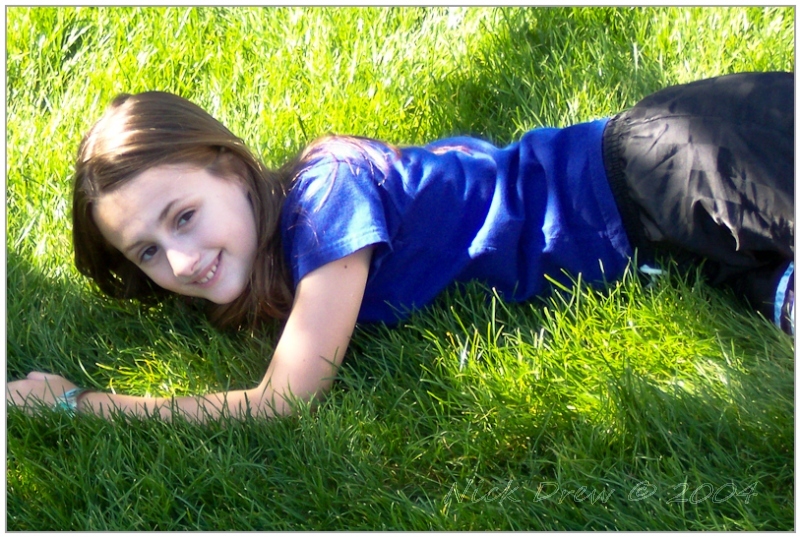 Click HERE (PDF) to read her rememberance of Ashley called, "About Ashley."